Shortly before midnight on Holy Saturday, church bells invite the faithful to take part in the flood of light and joy of the Resurrection of Christ from the dead. 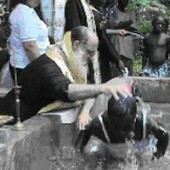 At the end of the Small Panyhida, the Bishop or Priest will light his candle from the vigil lamp of the Sanctuary and will invite the light – formed children of the Church to receive light with these words: “Come receive light from the light, which is never overtaken by night, and glorify Christ, who has risen from the dead”. Then taper by taper and candle by candle the people give and take holy light, and the darkness of night is flooded by light, and everything calms down, and everyone’s soul becomes peaceful and their hearts beat with divine hope. Darkness has no duration; No it can not have any duration!… NO! . .. Death cannot and is not permanent! … The Light from Light, the true God, whom we saw earlier powerless on the Cross, and dead with his arms crossed, and immobile, being buried by Joseph of Arimathea in his own grave, after having enlightened with His presence the Storehouses of Hades and after “He went and preached to the spirits in prison” (1Peter 3:19), He prevailed over death, granting light, joy, life and resurrection to suffering mankind. And this sea of lit Easter candles, which is blown about by the spring night breeze, is the reply of the believers to the nonsense and empty words of disbelief and agnosticism, the answer to the wretchedness of doubt and of atheism…. 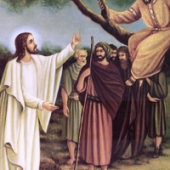 The Gospel reading from the Gospel according to Mark ( 16:1-8) – the 2nd “Eothinon” Gospel – is the scriptural pronouncement that Jesus the Nazarene, the Crucified, “has arisen, He is not here”, in the strangers grave that is, which had given Him hospitality. This trumpet blast of the rising of Christ from the dead is given wing by the bright and joyful plagal first tone of our Byzantine music, and is announced to all the worlds visible and invisible: Christ is risen from the dead, by death He has trampled on death, and to those in the tombs He has granted life”… The night hears it and celebrates. The trees hear it and “clap their branches”… The “night-flowers” and the “holy –vine” (aromatic flowering plants) hear it and pour out their aroma from joy.. It is taken by the bell-towers and they ring joyfully. The whole creation takes it and announces it everywhere, even right down to the nethermost regions, to the naked bones, the flesh that wasted away in expectation, to the souls that rest expecting and awaiting the rising of the dead …. “Open your gates you princes, and be lifted you eternal gates, and the King of Glory shall enter. The Lord strong and mighty, the Lord mighty in battle. Open your gates you princes… (Psalm 23, Septuagint). And at the end, at the third question, together with the reply “The Lord of might. He is the King of Glory!… “, the door is kicked wide open by the Bishop or Priest, who enters the Holy Temple with grandeur, chanting, in the joyful first Tone the most sweet “Canon” of the Resurrection, a composition of St John Damascene: “This is the day of Resurrection, let us be radiant O people, it is Pascha the Lord’s Paschal… “. 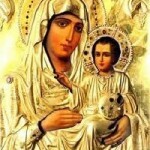 There is no sweeter, gracious, brighter, enjoyable festive or melodious hymn of the Orthodox Church than this “Canon”. 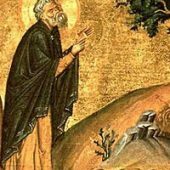 where the Theology of two chief Fathers, Saint Gregory the Theologian and Saint John Damascene is interwoven. St. John Damascene was the one who also composed the stanzas to it, “Now everything is filled with light, heaven and earth and the nether regions.. “. “Yesterday I was buried with you. O Christ, I will rise with you today with your resurrection…”. “We celebrate the mortification of Death and the degradation of Hades, we celebrate another life, the first and eternal one, and jumping for joy we praise the cause, the only blessed one of the fathers, the most glorified God”. “As something holy and all-celebrated is this salvatory night and dawn…”. “This chosen and holy day, the one after the Sabbath, the royal and sovereign one, is the celebration of celebrations, and festival of festivals…”. 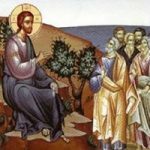 “O Christ, the great and most holy Pascha; O wisdom and Word and power of God, grant us that we may most clearly participate in the never-ending day of your Kingdom…”. And in between the stanzas of the Canon is chanted “Christ is risen”. and again “Christ is risen”, and again many times “Christ is risen”… So that the ear can satiate itself, that the soul burnt out by the furnace of the Cross of Great Friday can cool down and refresh itself, so that the redeeming message can saturate all the cells of the body, the joints, the kidneys, the heart…. 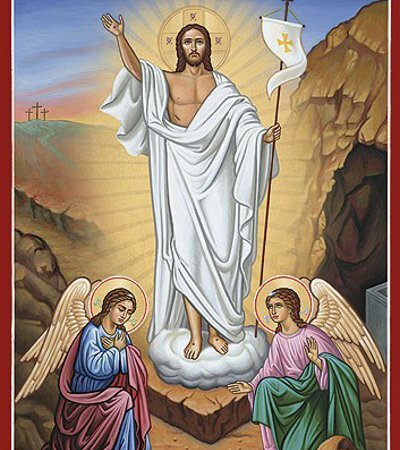 At the chanting of the Praises (Ainoi) the veneration takes place; the veneration of the Gospel Book, which always is the image of the Risen Christ “in paper and ink”, and we exchange with the Priest the all-joyful greeting – Christ is risen!… Truly He is risen! kissing his right hand. This is our meeting with the Risen Lord. As He was met by the Myrrh-bearing women and the Apostles and their souls rejoiced, so we see Him in the all-holy Book of His word. We kiss His immaculate feet and hear with the ears of our soul, coming from His holy mouth the word “Rejoice” and our soul fills with happiness and joy, because the “Rejoice!” from the mouth of Christ is not a simple greeting, but a direct transmission of divine joy and well-being. To the Praises of the first Tone are added the Stichera of Easter: “A sacred Pascha has been shown to us today; A new Pascha, a holy Pascha, a mystic Pascha, an all venerable Pascha, Pascha which is Christ the Redeemer. a spotless Pascha, a great Paschal…”, which brings directly to mind St Gregory the Theologian, “But O Great and holy Pascha and cleanser of all the world, for I converse with you as with a living soul; O Word of God, Light, Life, and Wisdom and Power; I rejoice in all your names “(Homily of Easter). Yes!.. 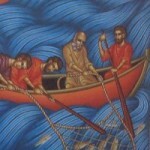 Yes!… The Pascha of the believers, our Pascha, is not a feast. It is a person. It is Christ Himself; the Word of God, the true Light, Life itself: the all-powerful Strength and Wisdom of God which created the world. He passed us over, not again through a Red Sea dryshod, chased by the Egyptians, but chased by the noetic Pharaoh, the devil, He passed us from the salty sea of sin and from the abyss of death, to the joy of forgiveness and communication with God, to the life of blessedness and eternity. He “passed us” from the dry land of our exile, to the bedewed heavenly nation, to the gladness of the firstborn… Glory to God! The same holy Father of the Church is brought to our memory by the superb and most joyful of hymns, the Doxasticon of the Praises: “It is the day of Resurrection, let us be bright for the Festival and embrace each other; here is the exhortation for the brotherly Pascha kiss of love. Let us say brethren to those who hate us, let us forgive all things for the Resurrection and thus let us cry, Christ is risen from the dead….”Where almost word by word, are repeated the words with which St. Gregory started his famous Homily “To the Holy Pascha and to lateness”. And after the Praises and the Kiss (which in older times was a Kiss by everyone among themselves, a holy Kiss, according to the exhortation of the Doxasticon as we already said), the senior cleric reads the famous Catechetical homily of St John Chrysostom (today it is the custom, unfortunately not according to proper order, for it to be read at the end of the Divine Liturgy): “If anyone is pious and God-loving, let him enjoy this good and bright festival…”. The golden mouth of the Church, St. John Chrysostom, calls the pious and God-loving people, the grateful Servants of God, the honourable workers of the divine will, but also all those, who, even at the last moment moved by a sense of honour, would like to approach, to enter into the light-filled joy of the Resurrection and to enjoy of the “banquet of faith”. “Let no one grieve at his poverty, for the universal Kingdom has been revealed. Let no one lament their transgressions, for forgiveness has dawned from the grave. Let no one tear death, for the Saviour’s death has freed us”. In these phrases is condensed all the meaning which the Resurrection of Christ has for us people. Forgiveness of sins at one end, and freedom from the power of death, eternal life that is, at the other end. Now then “death where is your sting?” Where is your poisonous sting with which you stung, poisoned and Killed humans? “Hades where is your victory?” Hades where are your victories over humans, which you boasted, that no one would escape? “Christ is risen, and you are overthrown. Christ is risen, and demons have fallen. Christ is risen, and Angels rejoice. Christ is risen and life goes on. Christ is risen and there are no dead in the tombs”! Because Christ arose from the dead, became the beginning, the offering, the ransom of the dead! To Him belongs glory and dominion to the ages of ages. At the Resurrection Liturgy (always Chrysostom’s) instead of the Trisagion (Holy God, Holy Mighty, etc) we chant “Those of you baptised in Christ, have been vested with Christ. Alleluia”, because in the early Church, the Catechumens were baptised on Great Saturday, who newly -lightened now, entered the church at this time in procession, dressed in all-white and holding lit candles in their hands, so as to take part, with all rights of worship, in the Liturgy of the Faithful. In the late morning or the afternoon of the Sunday of Pascha we celebrate with all formality the Vespers of Love, during which it is customary to read the Gospel reading (the 9th Eothinon, without the last paragraph) in many languages, so that the salvatory message of Christ’s Resurrection can be understood by more people, so that they can also accept it and enjoy salvation in Christ. The week of Pascha (Renewal or New Week) is considered, in a way, as one day with the actual day of Paschal. The resurrectional Divine Liturgy is celebrated every day in identical fashion to the Sunday of Resurrection with the same exact festive order. Vespers is also celebrated identically with the vespers of Love (except the Gospel reading), with the clergy wearing “the whole set” of their vestments. 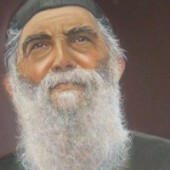 The late Metropolitan of Ierapetra and Siteia, of blessed memory, Philotheos (+ 1993) wanting to stress this unity of the seven days in the Renewal Week and established that at the Synaxarion, the memorandum, “On the holy and Great Sunday of Pascha, we celebrate the life-bearing resurrection of our Lord and God and Saviour Jesus Christ…” be read every day until and including Saturday. In the blessed countryside of Greece, the priests have the custom of liturgising every day during Renewal Week in every one of the country chapels attached to their Parish, so that the victory song of the Resurrection can be heard further out from the town. And many are they that go out to the countryside for those Resurrectional Liturgies. They remind us of Papadiamantis, combining the joy of Paschal worship with the joy of nature in Spring. On the Holy Mountain (Mt. 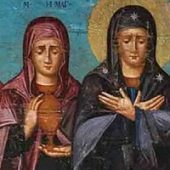 Athos) the monks celebrate litanies from the monasteries to various “Kathismata” and in the gardens, where we usually find a small chapel and where an Agiasmos is celebrated. This brings the joy of the Resurrection to the plants and trees, which supply various fruits throughout the year for the monks’ austere table. The novice monks learn the art of bell ringing during Renewal Week. It is a great pleasure to hear the bells pealing joyfully every day, all day, throughout Mt. Athos. Even the elderly Fathers sometimes during the Services, exit the church, take up hand-held wooden semantra and walk around the church hitting them rhythmically, so as to emphasise their enthusiasm about the definite and irrevocable condemnation of death, for the ever mortification of Hades, and for the eternal victory of Life…. “Jesus having risen from the grave, has given us eternal life and great mercy”.